Chain drive systems have been transferring power to the rear of motorcycles for nearly a century. Here we take a look at the advantages of both standard MX and O-ring chains, and analyze the components they are made up of. The chain drive has proven to be the most effective across the majority of dirt bikes since their inception. Fun on a motorcycle is dependent upon the motorcycle being propelled forward. Even if you build a way-too-fast dirt bike engine, it won’t do you any good unless that power can be effectively transferred to the rear wheel. 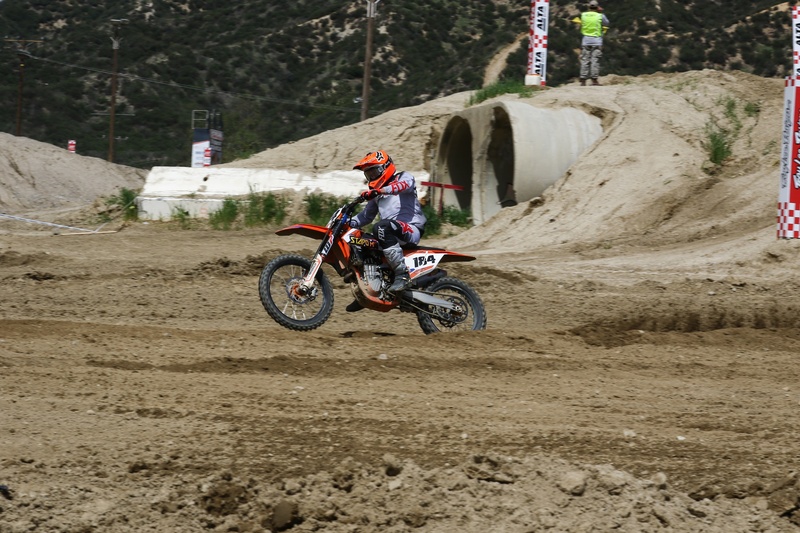 Whether a dirt bike or one of the various forms of street motorcycles is the subject, chances are it’s driven by one of three methods: chain, belt, or shaft. While belt drives require less maintenance, they are not as strong as chains, and it’s more difficult to change the final drive ratio. Shaft drives have been around for a long time, leading up to very innovative designs found on some street motorcycles today, but the cost and weight is much higher, and changing a final drive ratio would be substantially more trouble. This leaves us with the chain drive. Motorcycles have been using chain drive systems since the early 1920s. 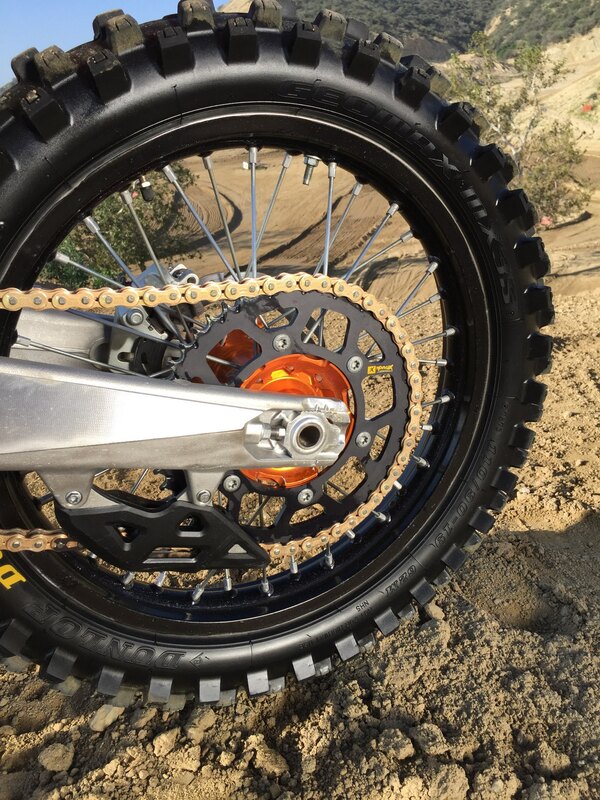 Upon analysis of modern performance dirt bikes and sport street bikes, chains drives are the only power transfer systems you’ll find. The motorcycle industry has seen continuous, highly impressive innovation in regards to engine design, fueling systems, suspension, and computer integration, to name a few. Motorcycle technology we couldn’t have dreamed of 30 years ago is commonplace today. 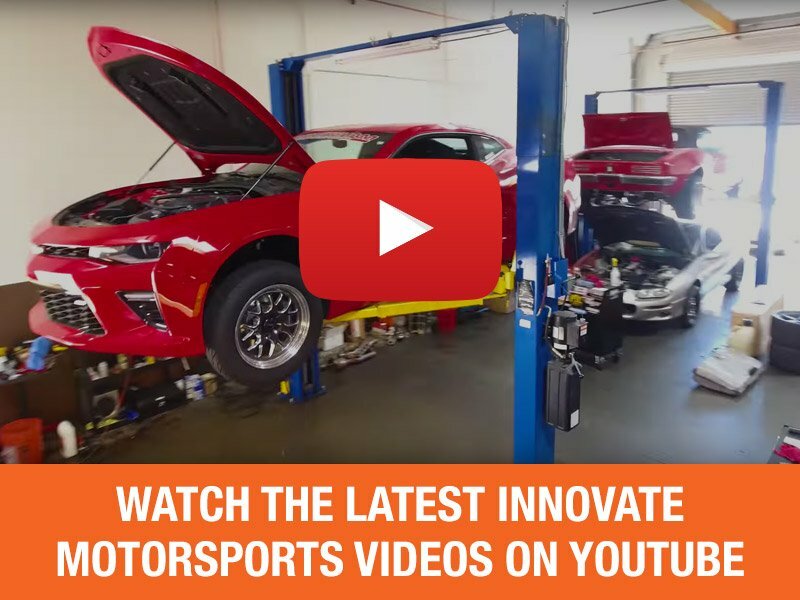 So, with all this progress, why are we still using chains and sprockets to transfer all our fuel-injected, smile-creating power to the rear wheel? The answer is simple: because it works. However, don’t think that the chain drive system has not progressed over the years alongside everything else. The modern chain you’ll find on just about any dirt bike is technically categorized as a roller chain. These chains are comprised of more pieces than you may think, and they all rely on tight assembled tolerances to function properly. 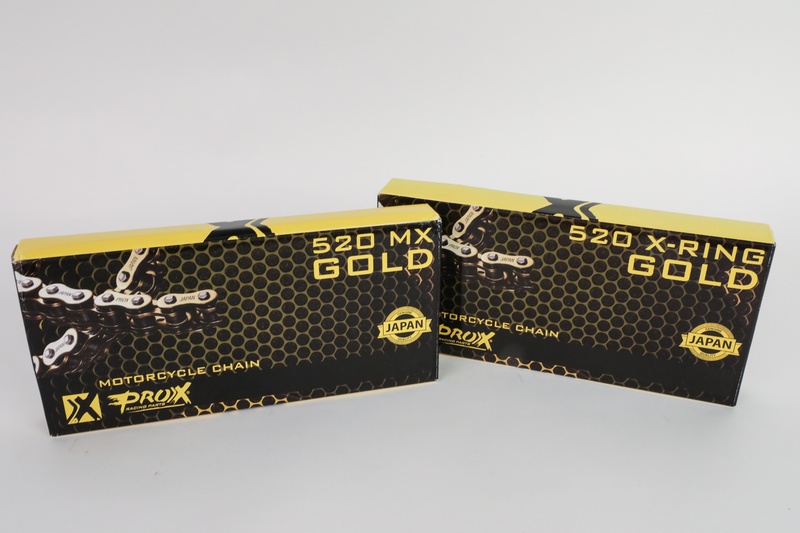 ProX Racing Parts understands the importance of having high quality chain drive components. After all, a broken chain or sprocket means no riding, no performance, and no fun. 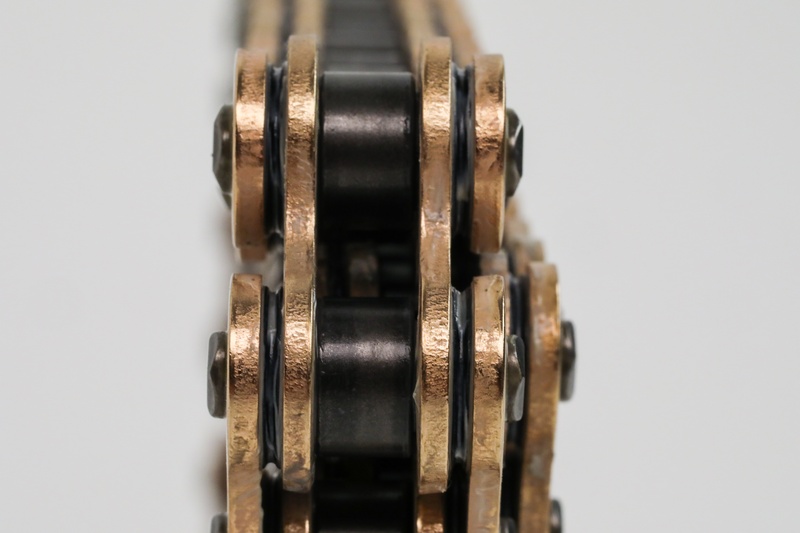 Dirt bike roller chains can be categorized into two different types: Standard (MX) and O-ring. 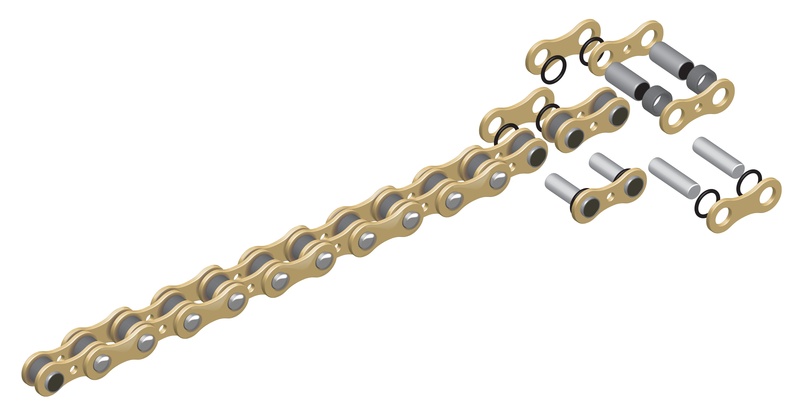 Standard MX chains are comprised of inner links and outer links, assembled with pins, bushings, rollers, and plates. Outer links feature pins, which resemble needle bearings, that are press fit and riveted into chain plates via bushings that rest in the openings of the plates. The pins of the outer links slide through the bushings and rollers of two inner links to meet the mating outer link plate. Repeat this assembly process, and you have your finished, linked chain. O-ring chains share the same anatomy as standard MX chains, with the addition of O-rings. This break down shows how the pins, bushings, rollers, plates, bearings and O-rings (when applicable) assemble to create a motorcycle chain. A standard MX chain is assembled in this fashion, minus the O-rings you see here. Each piece plays a critical role, because one failure of one part can snowball into a chain catastrophe. In ProX chains, the chain pins are surface-treated for a hardened outer material layer, increasing wear resistance without compromising the tensile strength of the inner material. Contrary to what the name implies, the rollers don’t actually roll on the sprockets. Rather, they are the acting component that allows the chain to bend smoothly around the sprockets without creating any binding or breakage from shock. ProX chain rollers are shot-peened, a process involving a metal surface being shot with small particles to better align the molecular structure of the metal, increasing strength and surface stress-resistance. The rollers of the chain are the larger dark, metal pieces resting between the links. 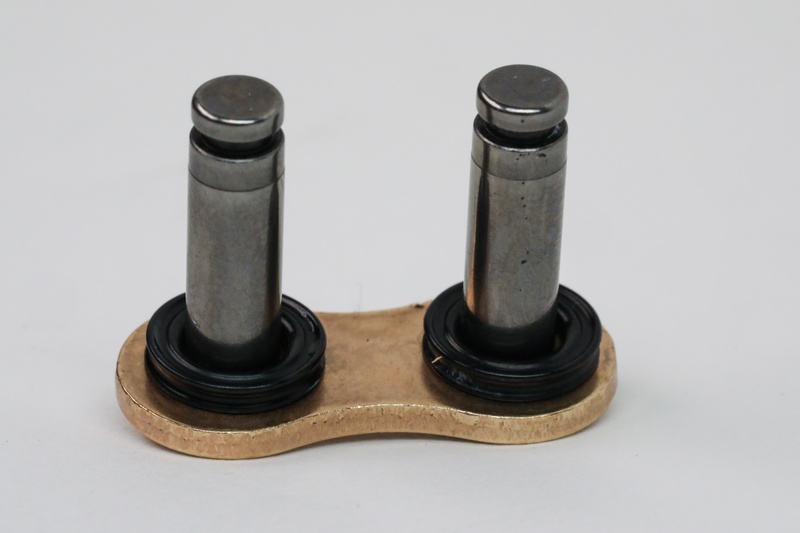 ProX rollers are shot peened for added strength and wear resistance. ProX chain bushings, rollers, and inner and outer plates are all heat treated to further increase the tensile strength, friction, and wear-resistant qualities of the Japanese steel. While chains are the best overall drive option in regards to strength and ease of ratio change, they are not always the lightest in weight. 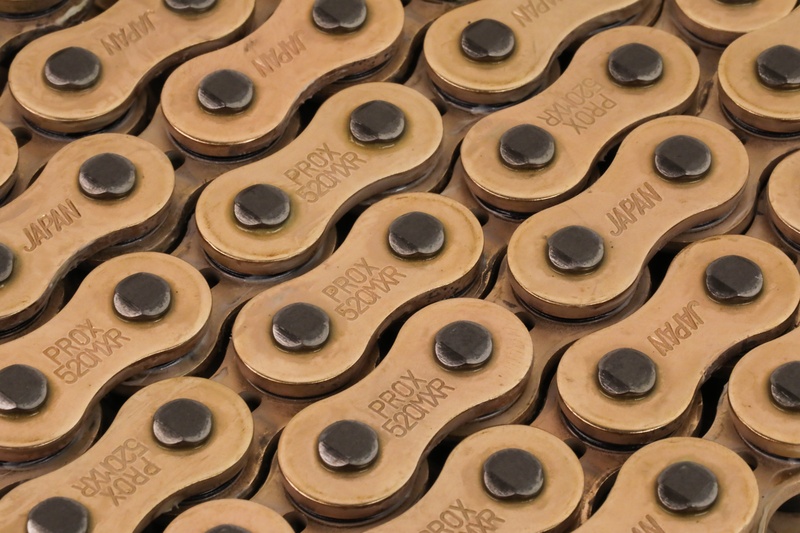 ProX chains’ inner link plates are designed with a weight saving shape, as well as machined with a lightening hole, which adds up to a 3% weight savings overall on a complete chain. ProX chain inner link plates are machined in a weight-saving shape with a lightening hole in the center. This adds up to approximately a 3% weight savings. O-ring chains have rubber O-rings that sit between the inner and outer links, sealing in grease for inner chain components. 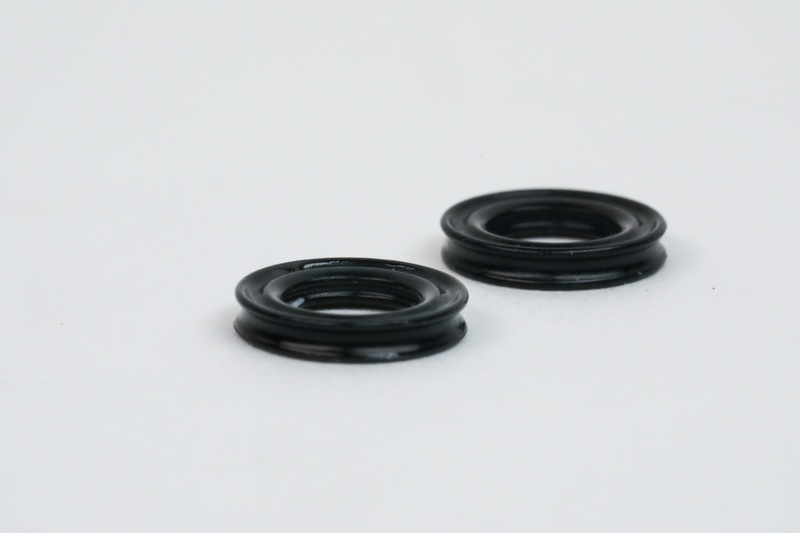 The O-rings encircle the pin bushings, and rest between the outer link and inner link plates. This seals chain grease in the pins and rollers, maintaining better lubrication for longer. Because of this, O-ring chains have a reputation of lasting anywhere from 1.5 – 2 times longer than standard, non-O-ring chains. Common criticism of O-ring chains has been that the increased friction in the movement of the chain from adding rubber O-rings creates more drag and translates less power to the rear wheel. While this is true to a certain extent, there are ways to reduce the amount of friction added. Dubbed the X-Ring chain, ProX’s O-ring style chain offering features a QX-style O-ring. QX refers to the specific shape of the O-ring, which results in less rubber surface area touching the chain plates, while still sealing in grease. 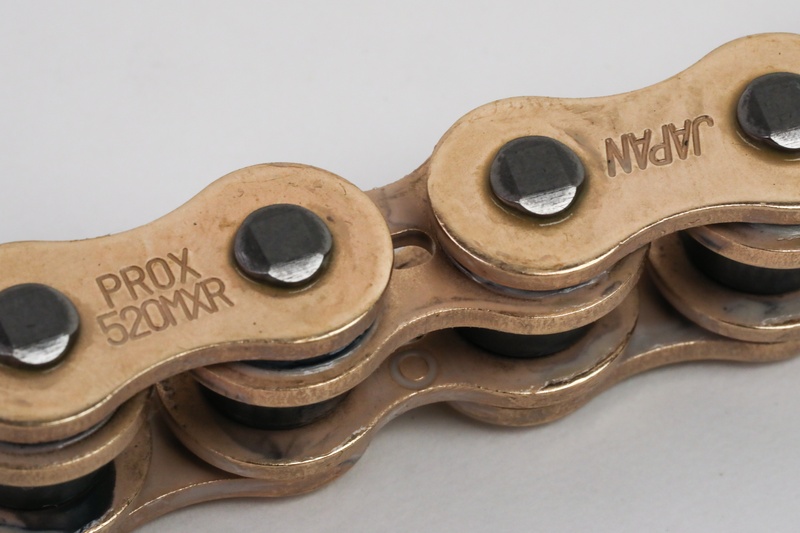 ProX X-Ring chains operate with approximately 40% less friction than a comparable O-ring chain. ProX X-Ring chains utilize QX-style O-rings, allowing for less friction during operation, while still sealing in grease for long life. 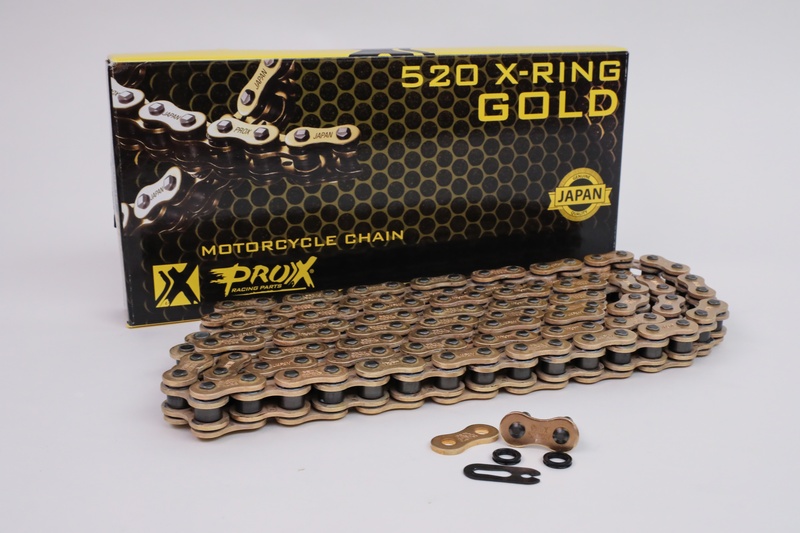 Whether you run a standard MX chain or and O-ring chain, ProX chains are available in both gold and standard steel color. The gold color comes from a surface coating that is more resistant to rust than plain steel. Steel chains can rust from water encountered while riding, washing the bike, moisture in the dirt, or simply from moisture in the air while sitting for a long time. Rust can be prevented on standard steel with proper chain maintenance (keeping them lubricated, coated, and clean), but gold chains will be much less sensitive to quick rust. Regardless of the style, proper chain maintenance is always encouraged. Should I Use a Standard MX Chain or an O-Ring Chain? This is the million-dollar question when it comes to a rider choosing a chain for their motocross bike, and you will likely get a million different answers. O-ring chains do have more drag than a standard MX chain, there’s no doubt about it. While the ProX X-Ring reduces the amount of extra drag, it’s still there. All riders are different. Some say they can feel a big difference in the bike’s power when riding with an O-ring chain versus an MX chain, while others will say they don’t notice it all. Ideally, it would be best to try both, to see which chain has the feel you prefer. The two different styles of chains have different advantages for different riders' needs. Choose the best one for you. If you don’t mind that the O-ring chains have a little more drag, or if you’re on a budget, the X-Ring chain is likely the best choice for you. You will get at least 150% more life out of it, and the amount of power you have to sacrifice from friction is lessened. If your main focus is racing performance, and more frequent chain maintenance is part of your schedule, stick with the standard MX chain, and reap the benefits of the strength and wear resistance of ProX chains. Another common problem observed with chains is what most call stretching. Technically, the chain doesn’t stretch. Rather, it is considered elongation, where material wears out, and parts of the chain start to operate outside of their original tolerances, ultimately leading to lengthening of the chain assembly. ProX chains are stress tested before going in the box, to reduce any large length differences once the new chain gets broken in. Don't let chain maintenance slip past you, a broken chain will ruin anyone's riding day. 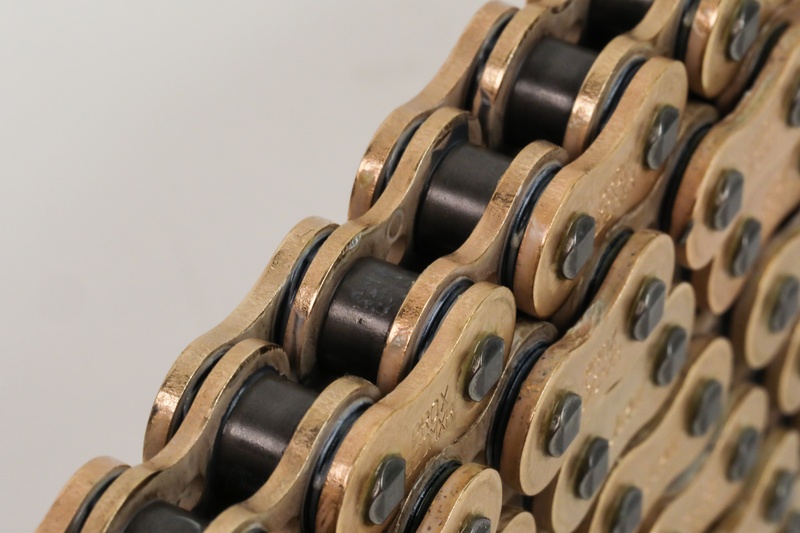 Stay on top of your lubrication and cleaning practices, and when it's time to replace your chain, do your research and choose the chain that best fits your purpose and budget.